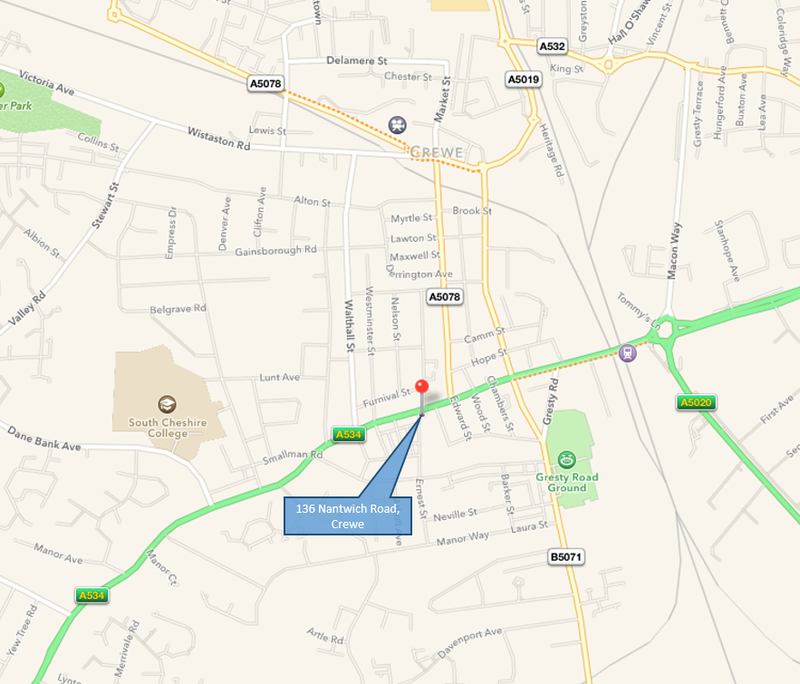 My room is located at 136 Nantwich Road, Crewe, the building pictured opposite. 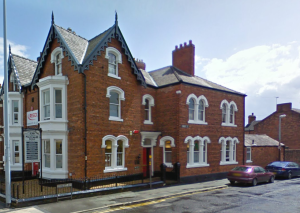 Although the building is on Nantwich Road, the entrance to the building through the red door in the picture is actually on Ernest Street. When you arrive please use buzzer number 6, labelled ‘Caroline Midmore’ and if there is no answer, please wait for a moment or two and press again. You can use the map below or click on this link to open a new window in google maps.